Tags are the simplest way to organize your databoards. They're valuable when you have a lot of databoards in your account and you need a clean, well-structured way to navigate between them. You can add tags to any databoard. By clicking on the bottom right corner of a databoard, you can change the name and color of a tag, or delete it altogether. Databoards are not limited to only one tag. 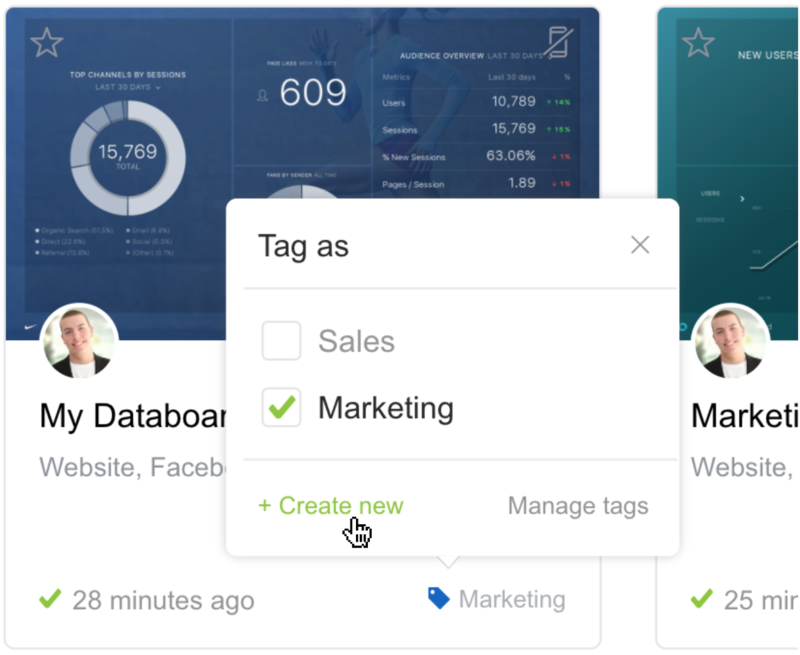 In order to use this organizational structure, you can filter by tags from a sub-navigation bar on the Databoards page. Log in to the Databox web application and select " Databoards" in the top menu. Click on the tag icon in the bottom right corner of a databoard and select the desired tag. It is possible to use multiple tags on a Databoard. Hit the green “ + Create new” button. In the popup window that appears, you can customize the name and change the color. Click " Done" to save a new tag. Once a new tag is saved, you can add it to your Databoards. 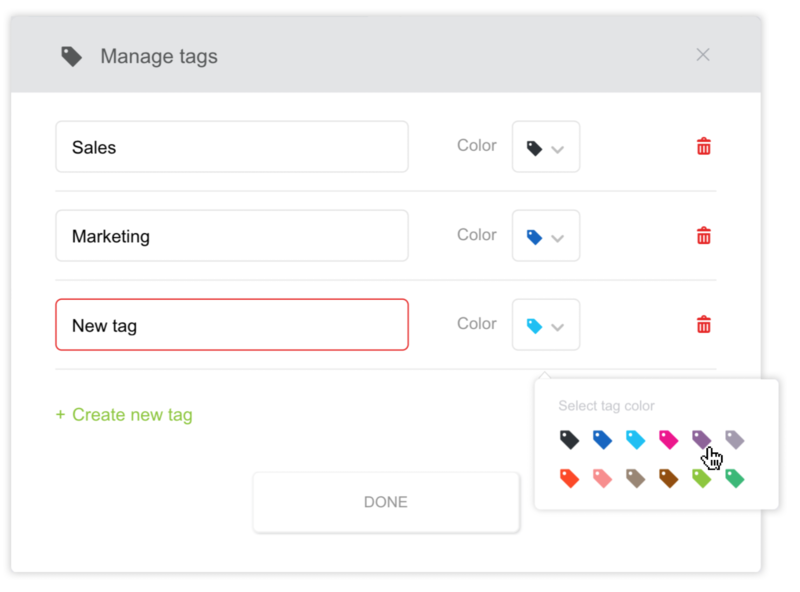 Hit the “ Manage tags” button. In this popup you can edit names and colors, or delete existing tags. Click " Done" to save changes. In the sub-navigation bar, click the arrow next to the "Tags" text. Select the tag you want to filter by. To view all databoards, make sure "All" is selected from the tags dropdown list.